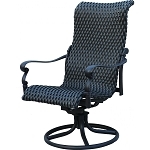 Wicker patio furniture is one of the most popular patio furniture in the USA. Wicker furniture is woven from materials such as willow, reed or rattan. It has a natural rustic feel that works well in an outdoor setting. 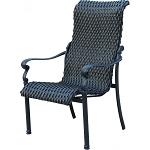 However, if exposed to water or excessive sun, wicker furniture does not last and will rot or mildew. Due to wicker furniture's popularity as it tends to be better suited to blending with its environment, all-weather wicker patio furniture was created in recent years. All-weather wicker patio furniture is made from resin and can withstand the outdoor elements without the concerns of the traditional natural wicker. 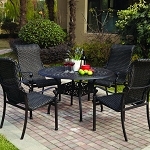 In fact, all-weather wicker patio furniture has the exact look of natural wicker if not better, and it also costs less. Wicker patio furniture designers have recently come out with exquisite furniture designs which look fantastic in any outdoor environment.